This Sunday marks Father’s day, an important holiday that allows us to pay respects and gratitude to fathers of all ages. This year the Khanna Vision Institute is celebrating Father’s Day with a special promotion of $1,000 off Prelex and Lasik procedures ($500.00 per eye). No matter what age you are, we have a vision correction procedure that is best suited for you.This special promotion is exclusively available for this month only and can be redeemed in either our Westlake Village or Beverly Hills locations. 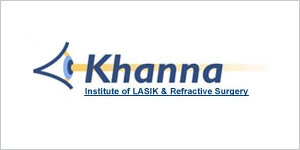 Look for our The Khanna Vision Institutes ad in the Acorn newspaper as well as the Los Angeles Times. This entry was posted in lasik testimonial, Los angeles lasik, Prelex and tagged Beverly hills lasik eye surgery, LASIK, Los angeles, Prelex. Bookmark the permalink.